The complexity of a user password in Active Directory domain is one of the key security elements both for user data, and the entire domain. As a rule, users prefer to use weak, easy-to-remember passwords. 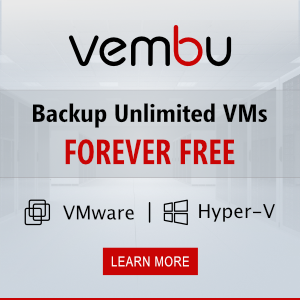 Thus, they significantly reduce the level of protection against hackers for their accounts. 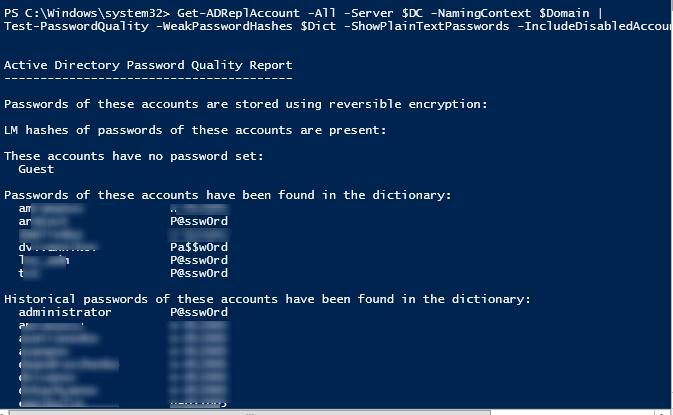 In this article, we’ll show how to audit users password strenght in Active Directory using PowerShell. 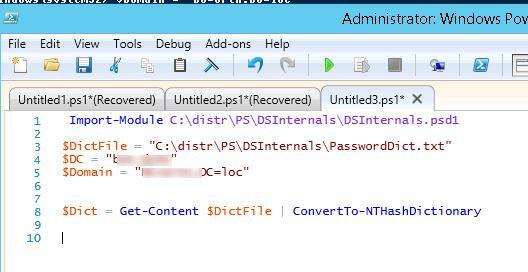 To test user password resistance to the attacks, we’ll use a third-party PowerShell module — DSInternals. This module contains a number of cmdlets that allow to perform different operations with AD database in online or offline mode (directly with ntds.dit). In particular, we are interested in Test-PasswordQuality cmdlet that allows to detect users having weak, similar, standard or blank passwords. Note. Naturally, user passwords cannot be obtained from the AD database as plain text, but when comparing the password hashes of AD users to the hashes of words from the dictionary you can detect (or compare) user passwords. Then we’ll need a file containing the dictionary of often used or “bad” passwords. You can download it from the Internet or create yourself. User accounts in Active directory will be checked against the passwords from this dictionary. 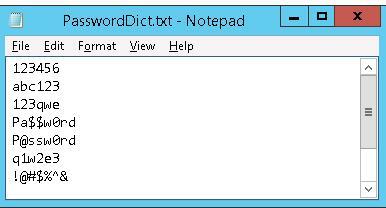 Let’s save the passwords in the text file PasswordDict.txt. In the following variables, specify the path to the file with passwords, the domain name and the domain controller name. Then using Get-ADReplAccount cmdlet, get the list of AD objects, the data of their NT and LM hashes, as well as the hash history. After that the password hash of each user will be compared to the hashes from the dictionary file. As you can see, AD users whose passwords coincide with those from the dictionary have been successfully found (user password history has been searched as well). Users having the same passwords have also been detected. So, using this scenario you can easily analyze the quality of AD user passwords, their resistance against brute force, estimate the current domain password policy complexity and make the necessary conclusions. 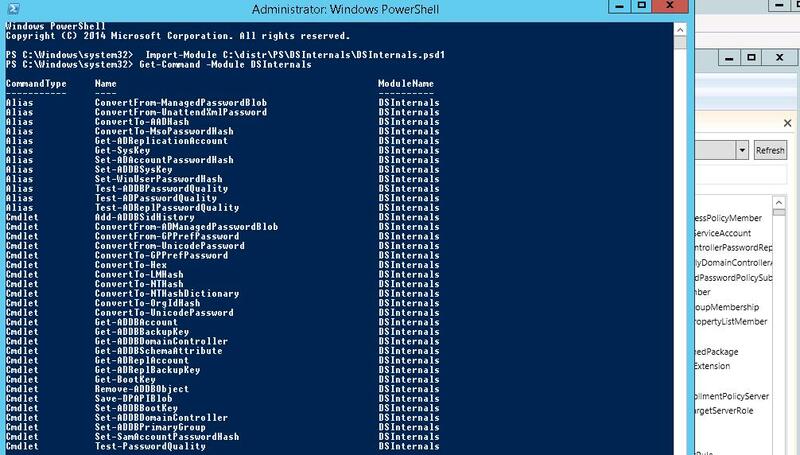 Active Directory administrators can (and should) perform this audit regularly. Thanks for the detailed instructions and I wish it was possible to use this module with bigger password files as stream and for the output file too. Is this for CURRENT passwords or historical?